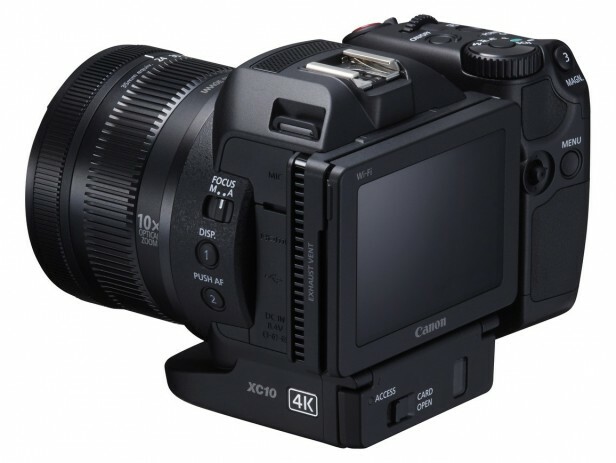 The XC10 is Canon&apos;s entry-level Cinema EOS camera. 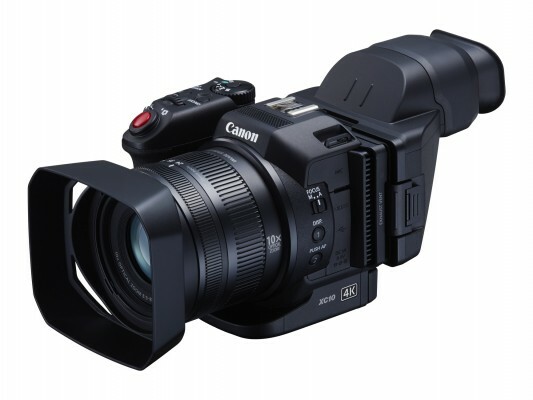 However, it&apos;s a rather different beast compared to other members of the Cinema EOS range, such as the C100. 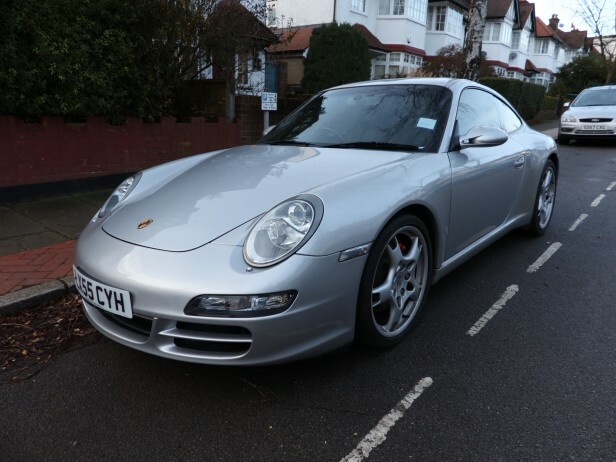 For a start, it&apos;s price of a little over £1,500 puts it much closer to consumer-grade camcorders. This is also a camcorder with a fixed lens, rather than EF mount, and there&apos;s no huge Super 35 sensor inside either. 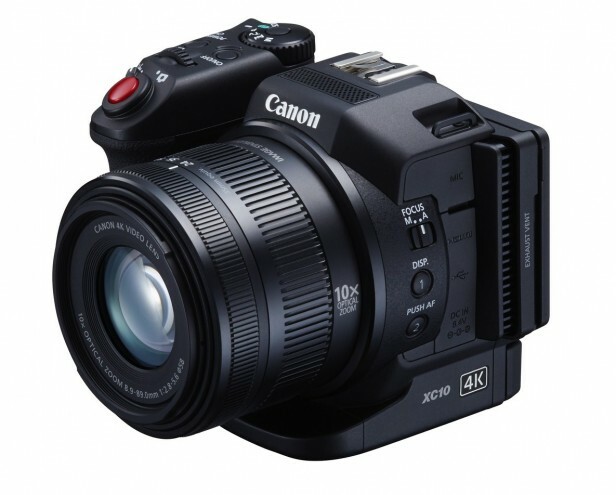 However, the XC10 does sport a sizeable one-inch CMOS and the ability to capture 4K video. Could this be the camcorder-DSLR crossover we&apos;ve been waiting for? Putting that one-inch CMOS in perspective, it&apos;s quite a bit smaller than APS-C and Micro Four Thirds (MFT) sensors, but around four times the area of the 1/2.3-inch sensors usually found in camcorders. As a result, it should display far greater sensitivity – closer to a DSLR – and also provide the more film-like video characteristics that have made DSLRs and camcorders such as the Canon Cinema EOS range and their ilk so popular with videomakers. The one-inch CMOS provides a raw 13.36 megapixels, and this gives it an effective 8.29 megapixels for video and 12 megapixels for stills. The effective quantity for video is precisely enough for 4K video, but the 12-megapixel stills are somewhat behind contemporary DSLRs – for example, the Canon EOS 750D offers twice as many. The XC10&apos;s built-in lens is surprising, given that Canon has such an excellent range of EF mount lenses available. Traditionally, camcorders at this price have usually come with built-in lenses, but you&apos;d be seriously disappointed if you&apos;d purchased a digital camera for this sum that didn&apos;t have an interchangeable lens system. It&apos;s part of what makes shooting video on DSLRs so attractive. This is something that could potentially put off many folk, especially since compact system cameras such as the Sony A7S provide 4K video and interchangeable lenses for similar money – although the excellent Sony A7R II costs significantly more. Despite its crossover aims, the canon XC10 is still clearly more camcorder than digital camera. That said, the lens in question is very good. It isn&apos;t from Canon&apos;s top-end L series, as seen on some of the company&apos;s earlier fixed-lens professional camcorders such as the tape-based XH A1. Nevertheless, it offers a 35mm equivalent range of 24mm to 240mm, and respective maximum aperture of f/2.8 to f/5.6. This is a 10x optical zoom, which only one of the currently available detachable Canon EF mount lenses can replicate, and that costs about as much as this camcorder on its own. I&apos;m still sceptical about Canon&apos;s decision not to opt for EF in the XC10, but for certain markets this could be acceptable, or even a benefit if the user isn&apos;t particularly experienced. Canon is targeting enthusiasts, independent filmmakers, B camera usage, and news gathering. While I can see most of these being viable customers, indies are still going to want greater lens flexibility – such as adding one of Canon&apos;s budget-conscious 50mm big-aperture lenses for extremely low depth of field or focus pulling. Another initially surprising choice considering the enthusiast aims of this camcorder is the recording media options. Naturally, there&apos;s an SDXC card slot available, but that can be used only for recording Full HD footage and still images. For 4K, there&apos;s a CFast 2.0 slot. This is because 4K can be shot at either 205Mbits/sec or 305Mbits/sec. The latter is beyond the capabilities of even the fastest Class 10 SDXC media, whereas CFast 2.0 media usually offers around 500MB/sec. Unfortunately, it&apos;s also around five times the price of Class 10 SDXC cards per GB. With video recording in the MXF-based XF-AVC file format, a 64GB CFast 2.0 card will give you approximately 25 minutes of recording in the top 4K mode. Full HD uses Long GOP format at 50Mbits/sec, which means it will meet broadcast TV standards. Slow and fast recording are available, although it depends which shooting format is being used. In 4K mode, time lapse up to 1,200x can be enabled, but no high-speed. In Full HD mode, footage can be recorded at up to 100 frames/sec and played back at 25 frames/sec, for 4x slow-motion effect. 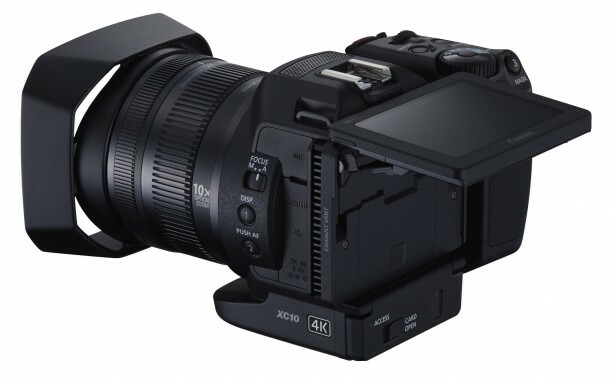 The XC10&apos;s control system is a bit of a hybrid of the Cinema EOS and EOS DSLRs. There&apos;s a function dial on the top of the rotating hand grip, allowing a choice between scene mode, auto, programme auto, shutter priority, aperture priority, and fully manual, like a DSLR. You need to press a button in the centre of this dial to turn it, so accidentally changing mode will be hard. There&apos;s a wheel just behind the shutter/record button. Unlike Cinema EOS cameras, you can&apos;t readily switch the operation of this dial with a quick button press. Instead, it needs to be permanently assigned a function via the menu. By default, it controls the iris, but it can also be assigned to shutter or ISO. The other two will be visible on-screen, but only the assigned parameter will be highlighted orange and changeable with the wheel. Further rapid access to settings is available via three user-configurable buttons, although I&apos;d like to have seen a few more of these. By default, the two buttons on the left-hand side control Push AF and toggling the information display, with a third button on the rear operating screen magnification for finer focusing. However, all three can be assigned different functions, with quite a range of options available. What can&apos;t be controlled via the various discrete buttons and dials can be accessed via the tilting 3-inch touchscreen LCD, or via the joystick on the rear of the hand grip. 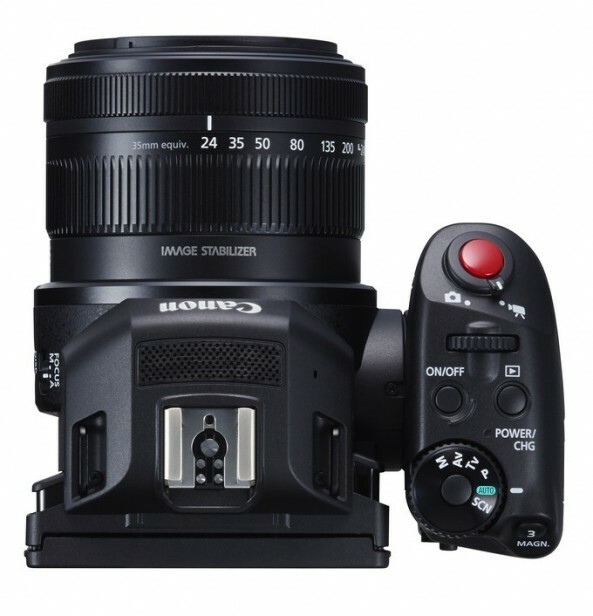 Both operate the same menu system, which provides a host of features such a looks, including EOS, Cinema EOS, Wide Dynamic Range and Canon Log. The various image stabilisation options can be controlled here, too, with dynamic and power optical image stabilisation available. In fully manual mode, shutter can be varied from 1/2 to 1/2,000th, and iris from f/2.8 to f/11. The ISO options range from 160 to a pretty gobsmacking 20,000, although anything above 2,000 starts to get quite noisy since this is essentially video gain. So the ISO abilities aren&apos;t quite up there with Super 35-equipped Cinema EOS cameras, which can shoot clean footage at as high as 3,200 or even 6,400 ISO. Despite being a member of Canon&apos;s professional Cinema EOS range, the XC10 does lack a few professional features. There&apos;s no XLR audio, although where you&apos;d put this sizeable connection on a camera of this size is questionable. Instead there&apos;s just a mini-jack for external microphones, plus another for headphones, and mini-HDMI for video output. So you could attach a wireless microphone system, but an audio feed from a desk could be a bit of a pain to hook up. There are some sundry extra features, such as Wi-Fi control via a browser, and the hood included in the box that turns the LCD into a very serviceable EVF. This is particularly useful in bright light, because the LCD does become a little difficult to see, and explains why Canon has made everything on the touchscreen operable with the joystick as well. The main reason behind videomakers finding DSLRs so attractive is of course the image quality available, and excelling in this area could allow the Canon XC10 to be forgiven for its failings. It&apos;s pretty capable here, and the photos are a cut above what camcorders with smaller chips are capable of. In particular, the depth of field at f/2.8 can be very narrow, so attractive Bokeh effects are possible. Video shot in 4K is brimming with detail, and there&apos;s absolutely no sign of artefacts thanks to the enormous data rate. Even left in standard mode, the colours are extremely natural and accurate. With the extra Looks, wide dynamic range and Canon Log options, there&apos;s a huge amount that can be done here to give footage exactly the appearance desired, or match it to footage shot on another camcorder. I wasn&apos;t entirely convinced by the image stabilisation compared to the best in the business, but the Canon XC10 is very light and easy to use when hand-held. With its large chip, the XC10 can grab great footage in all manner of available lighting, too. It clearly isn&apos;t as sensitive as the rest of the EOS Cinema range, with their Super 35 sensors, but its low-light abilities far surpass non-DSLR sub-£2,000 camcorders that I&apos;ve tested in the past. 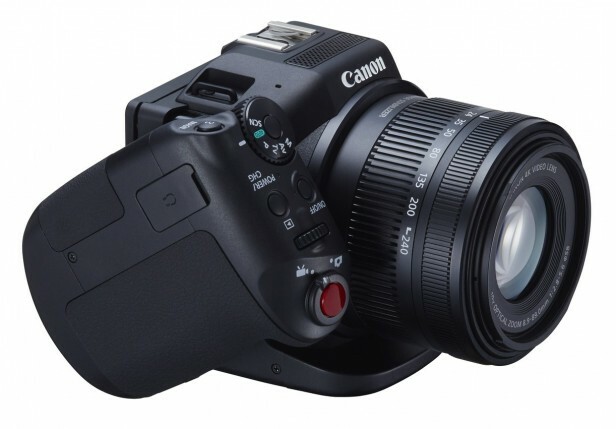 SHOULD I BUY THE CANON XC10? In terms of the camcorder, I was won over by the XC10, despite its flaws. But if you&apos;re looking for the Holy Grail of a device that is as comfortable being a DSLR as it is a camcorder, this isn&apos;t quite it. The XC10 is more biased towards its video capabilities. However, the digital photos are much better than those of a regular camcorder. You&apos;re more likely to be pulling stills off 4K video footage anyway. For an enthusiast who shoots more video than photos, this could be a great camcorder for grabbing near-cinema-quality footage of that trip of a lifetime. It could also be good for digital film students, or shooting news events. It&apos;s a little pricey compared to the DSLR option, but the 4K video format used is well beyond any DSLR, and its video shooting is much easier to work with. The Canon XC10 isn&apos;t quite the DSLR-camcorder hybrid it promises to be, but it shoots great 4K footage.